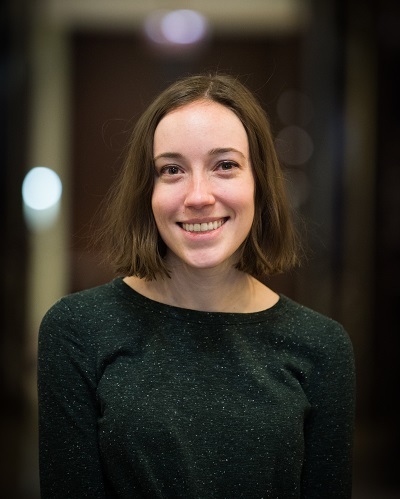 Emme Veenbaas joined the CBF staff as Development & Administrative Coordinator in January 2019. In this role, Emme supports the overall development and financial efforts of the CBF through her work on the CBF Investing in Justice Campaign, CBF events, and other development initiatives. Prior to joining the CBF, Emme interned at the Hinsdale Hospital Foundation, where she gained valuable development experience while using her writing background to help with the Foundation’s newsletter and marketing efforts. Emme earned her M.A. in Women’s & Gender Studies at DePaul University while also serving as a Service Learning Coordinator at the Steans Center. She received her B.A. from Hope College in 2016. When she’s not at the CBF, Emme enjoys exploring the Chicago food scene and spending quality time with her cat, Catticus Finch.